All Warnings and Advisories have ended. Expect compact ice on highways as stated on DriveBC as of 8:30 PM PST. Use DriveBC.ca for the latest. 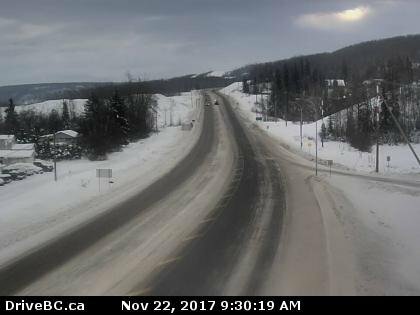 A Travel Advisory is currently in effect from Taylor to Mile 83 of the Alaska Highway due to Freezing Rain. 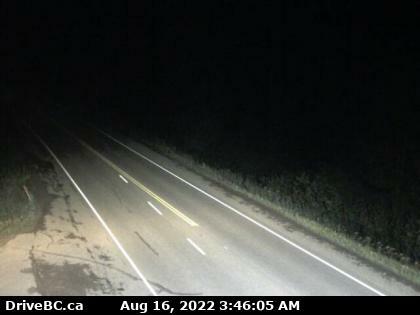 This includes Highway 29 from Fort St. John to Hudson’s Hope and Chetwynd and Highway 2 in Dawson Creek. Freezing rain is also forecast for the Pine Pass and Prince George. If you must travel please do so accordingly and drive to the conditions. 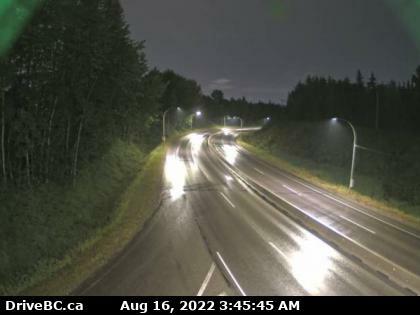 Picture above is Alaska Highway in Taylor at Big Bam Road. 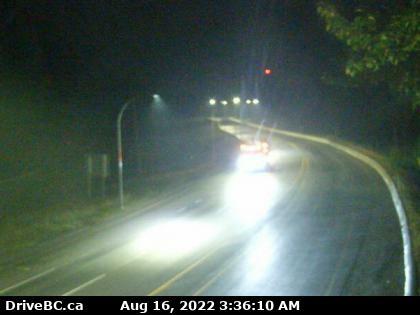 DriveBC.ca. A Pacific front will bring warm moist air to parts of northern BC today extending from Terrace to Peace River region. Periods of freezing rain are expected today as warm air aloft overrides the cold air near the surface. The front will push further north this evening and the risk of freezing rain will diminish over the region. Surfaces such as highways, roads, walkways and parking lots may become icy and slippery. Take extra care when walking or driving in affected areas. Be prepared to adjust your driving with changing road conditions.